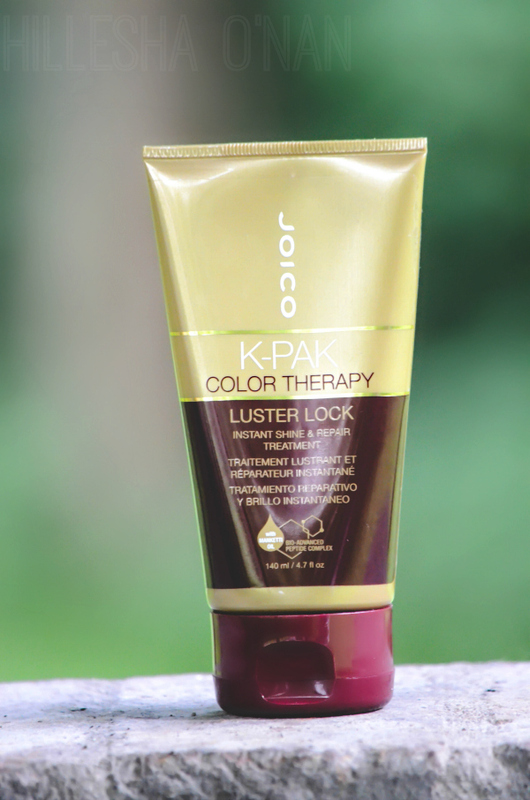 Joico’s brand new Luster Lock is an instant shine-and-repair phenomenon for damaged and color-treated hair that’s going to make you sit up and say, more, please! With just a single use, you’ll get the kind of super slip that gives your brush serious glide power, along with a healthy, hydrated, frizz-free gleam, and some legit hair envy! Despite my almost futile attempts to revive my hair from previous heat damage, the sun has been causing all kinds of havoc on my hair lately! This has been resulting in extreme dryness and frizziness, causing me to look and feel like Monica Geller when she visited Barbados for Ross Geller’s conference in Friends. I dub this undesirable hair situation as The Monica. That’s why the Joico K-PAK Color Therapy Luster Lock couldn’t have come at a better time since the humidity index is steadily spiking! It’s guaranteed to make tresses tantalizing enough to grace the glossy cover of a magazine. Le sigh. A woman can only dream, or maybe that dream isn’t far-fetched as it sounds. It had been ages since I had used anything by Joico, but this product sealed the deal after I noticed how touchably soft, yet strong my hair looked and felt after just one usage! It also deeply nourishes my hair and gives it the luster that it needs. Its advanced formula easily adjusts to every hair type and condition, depending on how you use it. It’s formulated with Bio-Advanced Peptide Complex and QuadraBond Peptide Complex that hydrates, smoothes, and softens dry, coarse hair, making it 9x stronger; while adding volume to thin, limp hair. Additionally, the QuadraBond Complex® is loaded with lush, exotic African Manketti and Argan oils to help ensure vibrancy and shine-boosting moisture while locking out fading and damage. The hair-identical keratin peptides in their Bio-Advanced Peptide Complex™ target and lock in on damaged sites, creating a weightless, lasting shield of protection around the hair structure that repairs existing damage and prevents future damage. With each use, hair becomes stronger, healthier, and shinier — positively joiful! Apply Luster Lock on damp, freshly shampooed hair from mid-shaft to ends. Time for up to 3 minutes and then rinse thoroughly with warm water. Apply Luster Lock on damp, freshly shampooed hair from scalp to ends. Time for up to 5 minutes and then rinse thoroughly with warm water. 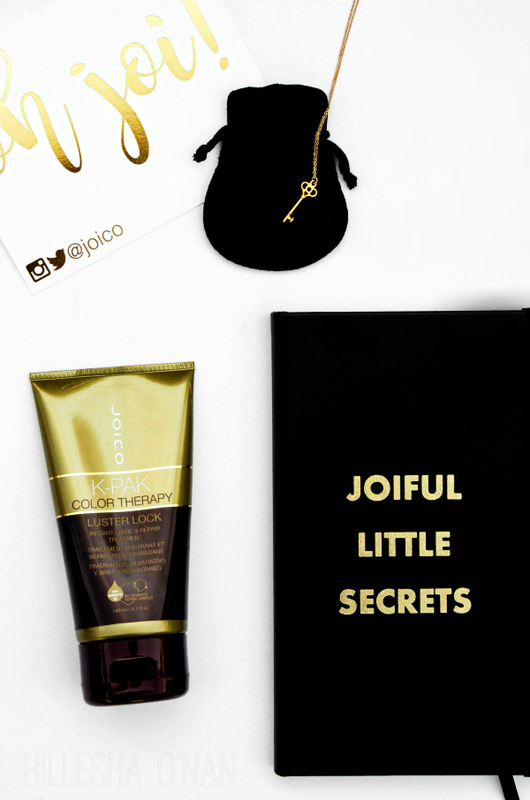 Joico’s K-PAK Color Therapy Luster Lock (1.4 oz., $19.99) will be available starting July 2016 in salons, nationwide, and at Joico.com. 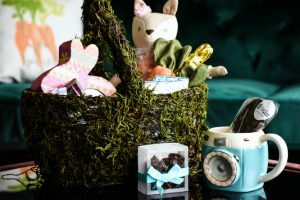 This post is in partnership with Joico. Thanks for the recommendation! I have bleached my hair, dyed it blue, dyed it silver and not to mention the heat I put it through. My hair is definitely in need of some TLC. Will definitely give this product a look. I’m always hesitant to use products like these because I have fine hair that also tends towards the oiler side. But this Luster Lock sounds amazing. I’m glad to see that it works on fine hair and helps build volume, instead of weighing it down. I hate crazy summer frizz hair! Here you are wish your cute painted toes, your fun flippy flops, and your long, flowy summer dress and then – BAM! Your head looks like a lion’s mane. I need to try this product out! I’m AA with thick coarse hair so I’m not so sure if this would work for me. I’d have to read other reviews to see if other people with hair like mine used it and it worked. Ooo I will definitely look back into this the next time I take a vacation in a humid climate. That’s seriously what I need the most help with is dealing with my hair in humidity. I love Joico products. This is one product I haven’t tried. It sounds like I need to. Thanks for the recommendation. I have color in my hair right now and you know how color needs better care. This is the first time I’ve heard of Joico. I always love trying different hair products though! What a great find! I definitely fall into that thick coarse hair category! I need some Lustre for sure! I’ll definitely have to check this stuff out. The humidity has been really crazy where I live too. I need something to help! I’m glad you wrote how to use on fine hair because I tend to shy away from these. Looks like it would be a great product to have handy. I have thick curly hair and I’m always fighting the frizzy weather. It’s important to me that my hair be shiny and oft. This looks like it might help. I’ve heard such great things about Joico. My hair is very dry and dull these days, so this sounds like a product that is right up my alley. I’ll have to try it! Ooooo now this sounds pretty fab!!!!! My hair needs all the help it can get during the summer due to being in the pool. Must give this a try.